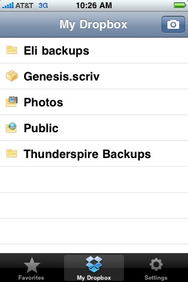 Popular online storage and media sharing/syncing service Dropbox has finally launched an official BlackBerry app today. Also launched by the company today are major updates for their Android and iOS apps, as well as an app directory of reviews for apps that integrate Dropbox into their services. The Android update will bring multi-photo upload and photo gallery features to Android devices, while the Dropbox app for iPhone, iPod touch, and iPad received a number of new features including offline caching, support for high-res photos and HD video on the iPhone 4, as well as completely redesigned home screen. The update also includes multitasking/fast app switching support for iPhones and iPods running iOS 4. This obviously allows users to upload and download files from their Dropbox account without having the app in the foreground. 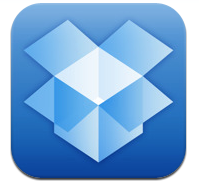 The new Dropbox app directory is essentially a continually growing catalog of apps that utilize Dropbox. Some of the apps already reviewed in the directory include Documents To Go, Elements, Evernote, and GoodReader. You can get the universal iOS app for iPhone, iPod, and iPad here. You can grab the Android and BlackBerry versions from their respected marketplaces.